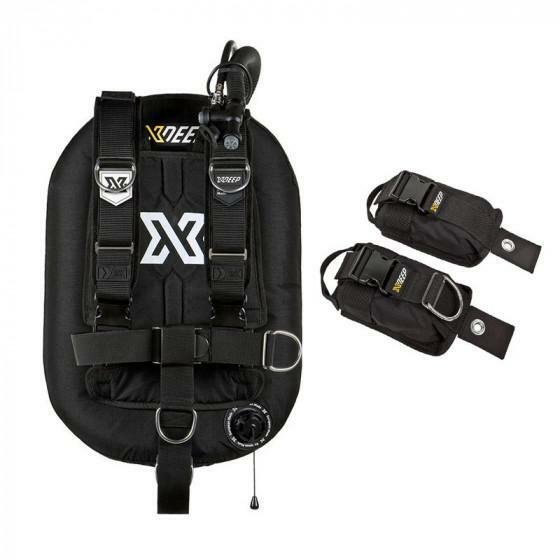 Advancing wing system performance into a new dimension for technical diving. Inspired by the dives you do ! What inspires you ? The thrill as a wreck emerges into view as you descend the shot line? The discoveries that lie in wait in the far corners of the hull? Perhaps it’s reaching into the depths of the earth, where darkness is split by your light for the first time. Technical diving demands rigorous and detailed training to be executed safely and enjoyably. Our gear is design to help in the perfection of skills and dive execution. The NX PROJECT system applies engineering innovation, materials, technology and expertise of the world renowned divers explorers ensuring that it compliments and supports the performance of the diver. Taking traditional BC / Backplate system to the new heights. If it works why change? Because good is not good enough for some. 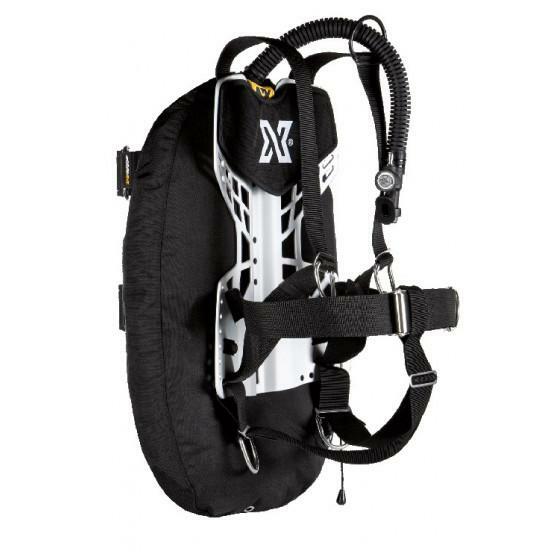 xDeep deconstructs traditional wing and back plate, knowing it works but also believing we can make it a lot better. Every element in the NX PROJECT has been improved to what xDeep believes is perfection, with no compromises in the pursuit of excellence. Three years of design time, thousands of hours of testing in the water, constant refinement of the concepts and the application of advanced materials and technology brought our ideas to life. Stability, Ergonomics and Safety dominated our priorities and have been delivered in the NX PROJECT in full extend. Greater lift with less drag. The NX PROJECT has sufficient lift to support multiple stage diving with ease, managing to achieve this in a tightly streamlined profile. This narrower profile reduces drag, easing your resistance and effort through the water, improving gas consumption and reducing the chance of entanglement. Unrestricted access to valves and perfect hose routing. In an emergency situation every second counts so easy access to your valves is critical. NX inflator design is so compact that upper wing size can be also reduced granting clean and broad access to cylinder valves and regulator first stages. In addition, the extra space allows for straight and tidy hose routing. Even when fully inflated the NX BC wing will not pressure or bend your hoses. Simple direct connection to the wing greatly improves air flow in and out of the wing. As a result, buoyancy control is more precise. An ergonomic backplate. Shape of the classic back plate was originally driven by the road sign it was cut out from, perhaps time for a change. Taking a proper look at the anatomy and structure of the human back, we have reinvented the concept. 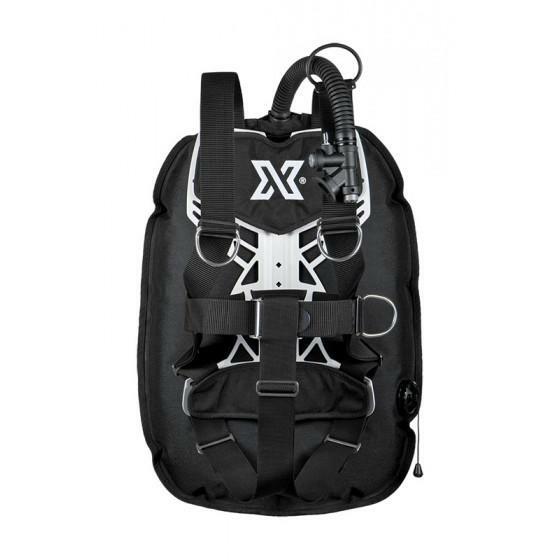 Enlarging the upper part of the back plate assures better weight distribution during the dive and removes load form the lumbar region. 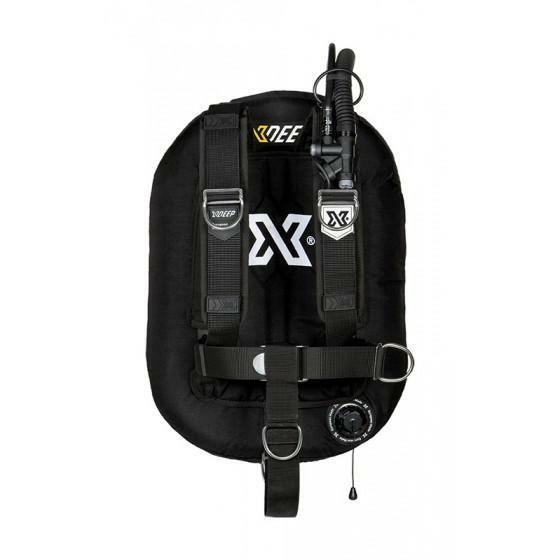 The lower plate design, spreads the load equally well and allows for the optimal attachment of weight pockets and accessories. The new NX Series back plate is more comfortable, more stable and more protective of your back than any other classic plate. 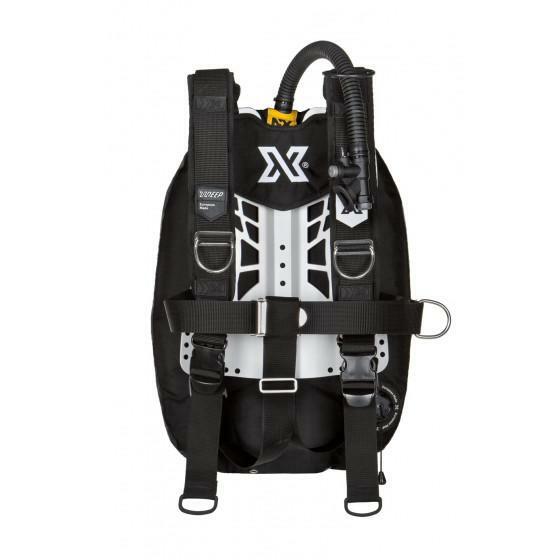 NX PROJECT BCD is built for unmatched performance and comfort in technical diving. Epic look is just a side effect ! 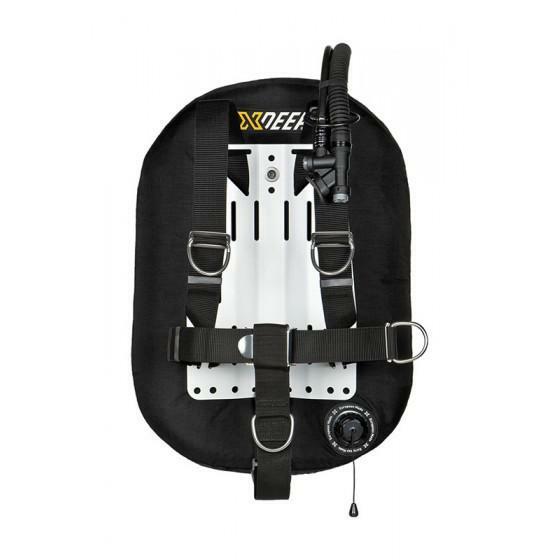 SIZING: Small backplate is perfect for divers below 5' 8" / 175 cm of height. Large backplate is for divers above 5' 8" / 175 cm of height.